I started making terrain recently, a few buildings using underfloor heating foam insulation. A few months back I invested in Kickstarter project to templates to make hex-shaped wargames terrain out of similar foam. I would need a hot wore cutter to use the kit when it was eventually delivered and although it hadn’t yet arrived, I had planned to buy a cutter. 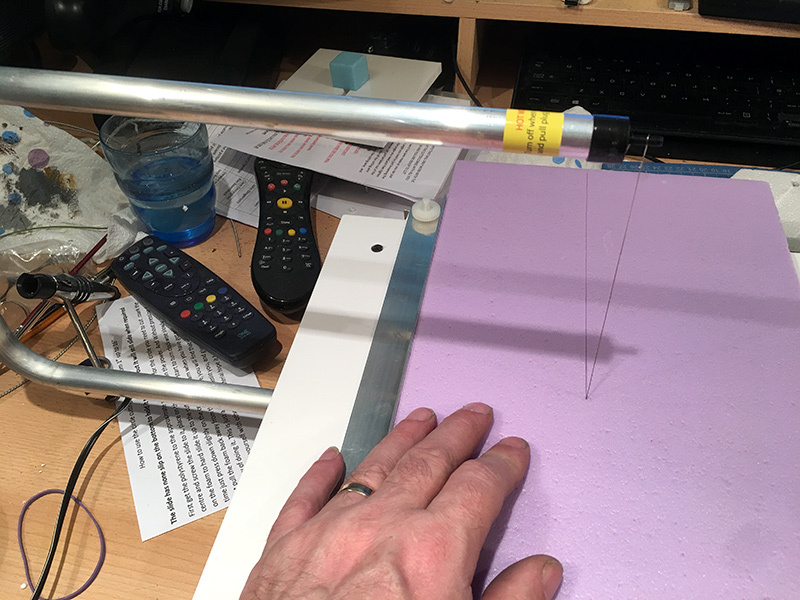 Several people were recommending a hot wire cutter from Woodland Scenics but as I searched around I came up with one which cost a similar amount to the hand-held one from Woodland Scenics but had more functionality. I’ve been using it almost daily now for the last two weeks as I build up my hex terrain and am loving using it. Using it on the table you can get perfectly straight cuts and taking off the table you can get some really detailed cuts. There are a couple of downsides; hand holding can be a little unwieldy as you have to hold one of the arms which can make getting downward pressure on the other arm can be awkward. The other thing is that the gap in the table is quite narrow. It’s made of plastic so if your cut is not directly along the plane of the slit in the table, you can push the wire against the wall of the gap which can melt it. 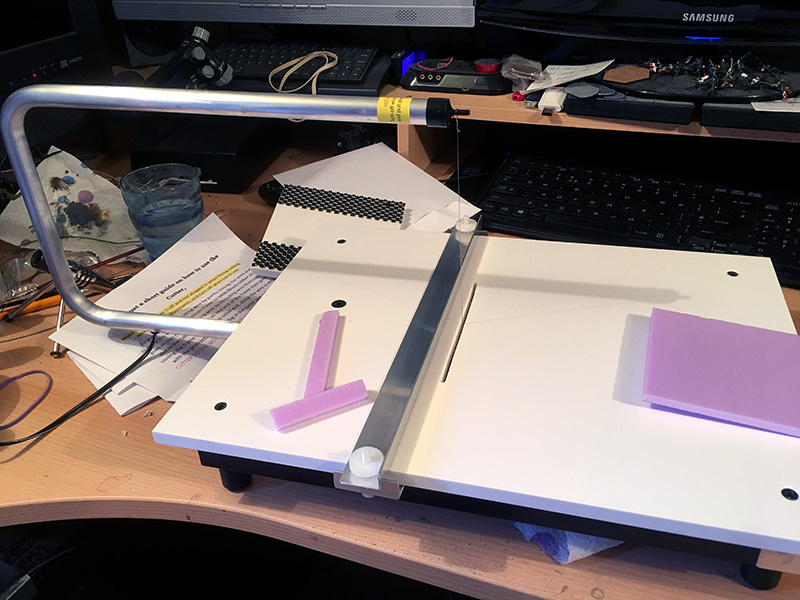 It might be better with a wider gap or perhaps having the edges of the slit lined with metal or something that isn’t going to melt, then you could cut in more than one plane when it’s table-mounted. All in all, I’m really impressed with my new hot wire cutter. 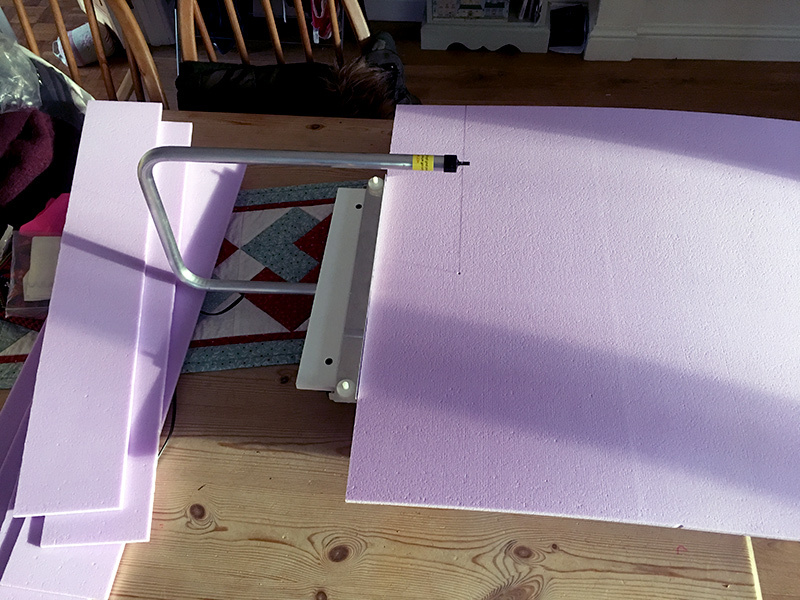 Foam is so much easier to cut with heat than a knife!